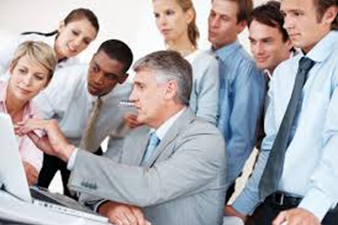 All organizations and companies need a strong Management and Supervisory Team. These are the people who are the direct supervisors and managers of the general workforce, who take care of those daily “fires” and challenges, as well as is responsible for “On-Boarding” and train new employees, in order to get them started on the right foot. There is a difference between Executives/Leaders verses Managers and Supervisors. Executives and Leaders have heavier responsibilities and are required to make some serious decisions. When the owner/employer is not available, these senior executives can be the “final say”. Though maybe not facing “major decisions”, but still important ones. Except in very small firms, the Executives may not be involved in the small day-to-day employee issues or basic business challenges, as these are usually left to the company Managers or Supervisors. The average employees will usually turn to their immediate supervisor or manager for their questions or clarifications, etc. Therefore, these immediate Managers and Supervisors need to be given clear and basic management training which includes a substantial understanding of the importance of communication and how to build positive employee relations and understanding their issues, as well as to training all employees for their jobs. Before being placed in the position of Manager or Supervisor, they should be instructed major employee issues. Don’t wait until they are “in the trenches”. These managers/supervisors should have the knowledge, resources, and boundaries on handling the majority of employee issues to avoid unnecessary stress and frustrations. Key factor is “good communication”, which includes “listening”. Employers need to keep in mind that not all good employees make good managers or supervisors. There are key competencies connected with the management team, as these positions require specific personality traits. Using an experienced, outside human resources professional firm can attribute to the success of training your key employees. An impartial professional firm will be more apt to identify any concerning observations among your participants through this training. This training should be provided on a regular schedule, allowing new managers, etc. to participate, as well as for those who feel challenged and in need of a “refresher”. This program is usually about 4-6 hours in length, and the class should be kept to no more than 20 participants. Compass Career Management Solutions strives to help companies be proactive, informing their managers on how to handle a variety of human responses and behaviors in order to “do their best and remain calm”.